Facebook's stock sinks, so who should buy it? NEW YORK (AP) — Investors are dumping Facebook's stock, spooked by slowing revenue growth, the lack of a financial outlook and plans to spend more money in the coming months. Only if they are thinking in the short term. Investors can expect Facebook's stock to be volatile for a few years. But analysts say those willing to wait will likely be rewarded — someday. "I view it as a tomorrow stock," says Christian Bertelsen, chief investment officer at wealth management firm Global Financial Private Capital. "The whole thing on Facebook is, look, if your time horizon is hourly, weekly or even monthly, this is not the stock for you," he adds. "You need to take a much longer-term view on it." That's about three or four years, he says. Founded in CEO Mark Zuckerberg's Harvard dorm room in 2004, Facebook was a product of the PC era. Now, in the age of mobile computing, a growing number of people are accessing Facebook through their iPhones, Android gadgets and tablet computers. Yet Facebook is only now starting to figure out how to make money from its mobile audience. "The company is going through an almost painful transition from desktop to mobile," Baird analyst Colin Sebastian says. He calls Facebook "a speculative investment," but one with plenty of potential. "With almost one billion users, Facebook is amassing the most comprehensive user profile database in existence," Sebastian says. This, he adds, offers a "significant opportunity" to reap a big chunk of the global advertising market, which is currently at $500 billion a year. "Amazon comes to mind immediately," Bertelsen says. After that company went public in 1997, at the time mainly just an online bookstore, critics were quick to cry dot-com bust, call its business a broken, and so on. Today, it is the world's biggest online retailer, selling everything from DVDs to vacuum cleaners to Web storage. "Now they are the retailer to the world," he adds. Amazon.com Inc.'s stock price grew to more than $200 a share, from less than $2. Of course, Facebook has started out much higher, at $38. 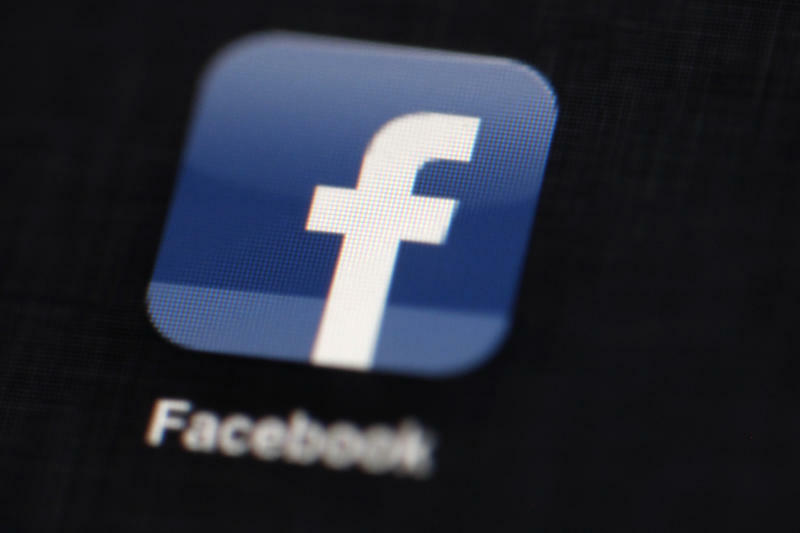 Facebook's first earnings report since its rocky initial public offering on May 18 was the second coming that didn't quite materialize. So investors sent Facebook's stock to its lowest level ever on Friday. Shares fell $3.14, or nearly 12 percent, to close at $23.71 after hitting $22.28 in the morning. The previous low was $25.52, reached on June 6. The stock dropped despite the fact that Facebook's second-quarter results met Wall Street's expectations, with revenue one-third higher than last year. Given the rocky economy and investors' heightened sensitivity to a stock's value, betting on a company becomes a "show-me story" for many of them, Sebastian says. That means investors want proof rather than Facebook's word that it can grow its revenue and make a profit. Facebook, for now, is more of a tell-me story, one whose success or failure will play out in the coming quarters, or even years. The company hasn't shown all it can do. Its revenue growth slowed. The company's revenue nearly tripled in 2010, compared with 2009. In the first quarter of this year, revenue climbed 44 percent, higher than the 32 percent increase in the second quarter. Following in Google's footsteps, it did not offer financial guidance for the coming quarters, which makes it a riskier bet for investors. Facebook also said it plans to increase its investments in the coming quarters. Higher expenses could mean lower profits. Facebook, which is based in Menlo Park, Calif., was valued at $104 billion when it went public two months ago. That means investors placed a higher value on its stock than established companies such as McDonald's, Pepsi and even Amazon. With Facebook's stock hitting a new low on Friday, the company lost as much as 39 percent of its value. It's now around $66 billion, a little more than 3M, the company that makes Scotch tapes, stethoscopes and sandpaper. It's also in the same range as American Express. Despite the doubts, Mike Magan of Carmel, Ind., plans to keep the 10 shares he bought at $34.25 each a few days after Facebook went public. "I bought this thinking it was going to be something I was going to pass down to my kids," said Magan, who works for an industrial marketing firm. "I see this as a company that will be an Apple." Other stocks he owns include Apple, naturally, which he bought a decade ago. Back then, it was trading at around $8 to $10. Now, it's pushing $600 as the world's most valuable company, thanks to successes with the iPhone and the iPad — the same devices confounding Facebook. "My purchase of Facebook was a vote of confidence," Magan says, adding that he buys stock about every three to four years. Analysts are generally positive on Facebook. Of the 27 analyst ratings available from FactSet, 15 are "Buy" or equivalent, while just three are a "Sell." Analysts tend to have longer-term views of stocks than many day-to-day investors. "We don't view these results as dramatically good or bad," Citi analyst Mark Mahaney says. "Key questions remain: the future of Facebook mobile monetization and the future of Facebook user engagement."